Editors’ note: today’s guest entry has been kindly developed by Dr. Lucia Rodriguez, director of the Global Master’s in Development Practice Secretariat, Columbia University. For the past 20 years Dr. Rodriguez (pictured to the right) has been involved in the field of education, including at Teachers College and the Department of Bilingual/Bicultural Education (Columbia University), and the United Nations Association of the USA (UNA-USA). A native of Cuba, Dr. Rodriguez completed her undergraduate work at Georgetown University’s School of Foreign Service and received her Doctorate in Education from Teachers College, Columbia University. Dr. Rodriguez’s entry focuses on an innovative global educational initiative that has much potential to generate substantive, organizational, pedagogical and technological lessons. The Global Master’s in Development Practice (MDP) is a two-year graduate degree program involving the participation of 22 universities around the world. Further information about the MDP is available below, and also in ‘Some Important Lessons for Global Academic Innovation’ by John W. McArthur (Huffington Post, 17 May 2010) and ‘Needed: a New Generation of Problem Solvers‘ by John W. McArthur and Jeffrey Sachs (Chronicle of Higher Education, 18 June 2009). Our sincere thanks to Dr. Rodriquez, and John W. McArthur and Vibhuti Jain (both of Millennium Promise), for enabling the development of this entry. Finally, please note that we will continue to welcome proposals for responses to Nigel Thrift’s ‘A question‘ through to the end of 2010. Nigel Thrift’s recent post asked the question: Are the world’s universities doing all they can to prepare their students for the complex challenges facing this interconnected and interdependent global community? Speaking as the director of the Global Master’s in Development Practice Secretariat, I believe that, although progress has occurred, much more is needed. We are, indeed, in an urgent situation where the role of universities needs to be clarified if they are to tackle successfully the task of preparing global citizens, workers and leaders. This urgency to innovate, to think “outside of the box,” to do things differently is the thing for which thousands of the world’s suffering people are clamoring. Nihima, a fictitious name that represents many of the world’s most vulnerable children, epitomizes the challenges of the many voiceless people around the world in need of extreme intervention. Like many poor people, Nihima spends her days sprawled on a mud floor with dried leaves for a roof. She is a 13-year-old girl who recounts, through tears of despair, her life as the oldest sister, and now main caregiver, of four brothers and sisters. Her father left the family long ago. Her mother followed shortly after. Both of them were swallowed by the big city with the promise of returning for the family after earning some money. Four years later, nothing has been heard from either parent. I met Nihima several years ago, abandoned and tired. She shared the difficulties of being a sister-parent of four at the tender age of 13. She does not go to school because she does not have shoes. She spends most of the day begging for kernels of millet or dried cassava or whatever she can find to feed her brothers and sisters. What little energy she has left she spends thinking of how to help her younger sister, a weak and sickly child. Help did not come soon enough to Nihima’s hut. All the help funneled into this rural village was well-intentioned, but not comprehensive enough. Many of the people on the ground, the experts in education, health and agriculture deployed to economically depressed areas, could not go beyond offering solutions that were singularly focused and limiting, failing to address the broad challenges of sustainable development. In her day-to-day struggles, Nihima is like many of the developing world’s destitute. She joins more than half of the world’s population who live on less than $2 day. She, too, is one of the millions of people who cannot read a book or sign their names. And, if her socio-economic situation does not change soon, her brothers and sisters may join the many vulnerable children who make up the 8 million preventable disease fatalities that occur worldwide each year. Universities have a role in training and developing the problem-solvers of the world. In particular, we believe that practitioners, the people at the forefront of all of these global problems, need to be prepared to confront the multifaceted challenges of sustainable development. The most disenfranchised people—the poor subsistence farmer, the urban slum dweller, the ailing HIV father and mother and their vulnerable children—need our help now. For their survival, people like Nihima often depend on the professional knowledge, skills and attributes of development practitioners. These professionals are often the only hope for poor, suffering people. Although most practitioners have completed the most rigorous training in sustainable development, few are prepared for the complex challenges they will encounter in the field. They realize that their knowledge or specialization in a particular area is not enough. Once in the field, they understand that the interwoven challenges of sustainable development can be solved only by connecting insights from a range of disciplines. It was this realization that more is needed and the urgency to bolster the leadership and training of development practitioners that brought eminent practitioners and academics across a range of development fields together. Former Mexican President Ernesto Zedillo; global health leaders Helene Gayle, Jim Kim, and Jeffrey Koplan; former UNICEF Executive Director Ann Veneman; Nobel Laureate RK Pachauri; ground-breaking ecologist Virgilio Viana; prominent agronomists Freddie Kwesiga and Alice Pell; and African academic leaders Goolam Mohamedbhai and Livingstone Luboobi are some of those who collaborated. As members of the International Commission on Education for Sustainable Development Practice, a John D. and Catherine T. MacArthur Foundation-supported initiative, the Commission provided the insights and recommendations that led to the development of the global Master’s in Development Practice (MDP) programs. The Global Master’s in Development Practice is a two-year graduate degree program providing students with the skills and knowledge required to better identify and address the global challenges of sustainable development, such as poverty, population, health, conservation, and climate change. The MDP students take core courses in health sciences, natural sciences and engineering, social sciences and management. 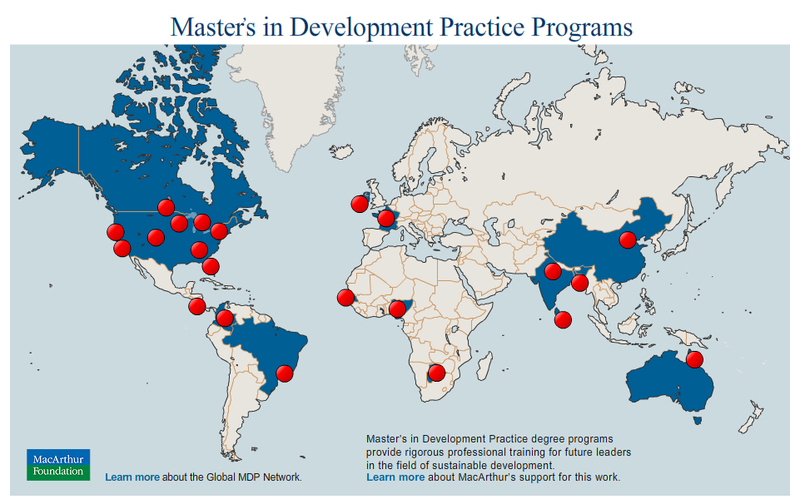 In addition, MDP students take the Global Classroom: Integrated Approaches to Sustainable Development Practice course. This is an information technology-based, interactive course that fosters cross-border and cross-disciplinary collaboration and allows students and professors to participate in collective assignments and learning experiences. For instance, the first “pilot” global classroom addressed a range of core issues from health, economics, policy, and agriculture, to ethics and education. It involved the participation of 16 universities around the world. All course materials, including the syllabus, readings, videos, and assignments, were uploaded to a common course website. Commission members served as guest experts and provided taped lectures for each of the weekly sessions. 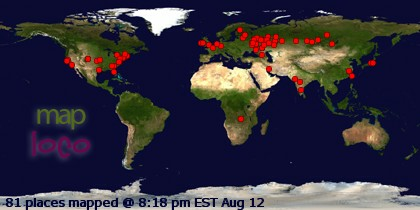 Students from around the world viewed the taped lectures in advance and then joined their classmates and professors for weekly, live sessions. The weekly sessions were conducted through web-based conferencing software that enables partner universities to log-on free of charge. Each participating classroom is then able to activate their camera. The “global classroom” screen becomes filled with live videos of all of the partner universities. Furthermore, all MDP students participate in two hands-on field training and internship experiences. Only by broadening the MDP students’ educational and practical training will these students be able to more effectively understand and address the root causes of extreme poverty and confront the challenges of sustainable development. For more information on the MDP curriculum, please go to www.globalmdp.org. Two years after the launch of the International Commission on Education for Sustainable Development Practice report and its recommendations, the global network of MDP programs comprises 22 universities in 15 countries and five continents. Many other academic institutions are soliciting membership into the network. These universities are not only thinking about the question of how to address the various worldwide disparities, but are working together to address this problem. Columbia University accepted its first cohort of students in 2009. Twelve other universities will do the same this September and the remaining in 2011. Although the core MDP curriculum integrates the four pillars of health, natural, social and management sciences, each university approaches the MDP through a highly diverse set of curricular emphasis. The University of Winnipeg, for example, focuses on indigenous populations and the University of Botswana offers an executive education-type program for full-time professionals who wish to complete the MDP degree while still working. To learn more about each MDP program’s curricular focus, please go to www.globalmdp.org. We anticipate that the several hundred MDP students trained each year will not only have a broader understanding of the challenges of development, but as leaders will be able to draw on their interdisciplinary training for both policy and practice insights. They will be the “specialists” of interdisciplinary studies in the field of sustainable development who can speak and understand the language of the various development experts often found in the field working in isolation from one another. These MDP graduates will go on to professional trajectories within government ministries, bi-lateral and multi-lateral donor organizations, non-governmental organizations, private sector companies, foundations, or UN agencies. As practitioners, they will be able to propose solutions to the challenges of poverty that are informed by multidisciplinary and multisectoral perspectives. Imagine a student at Sciences Po participating in the MDP field experience organized by Universidade Federal Rural do Rio de Janeiro or a faculty member from the University of Ibadan teaching a course at Tsinghua University’s MDP program. Through the global network of MDP programs, this and more will be possible. MDP students and professors will be able to reap the benefits of a global network by participating in exchanges and field experiences offered by the various MDP programs. In addition, it is expected that, all MDP programs will develop their own Global Classroom course on topics as varied as public health and agricultural systems, which will be offered to students at the 22 MDP programs in the global network. Furthermore, in order to take advantage of the global resources these 22 universities offer and to ensure that all MDP students receive a rigorous and comprehensive education, the global network of MDP programs will also benefit from the development of an open-source online resource center. Once developed, this resource center will welcome global contributions from the MDP programs and provide academic institutions with a comprehensive repository of MDP-related educational resources and tools, including case studies, lectures, and e-journals on sustainable development practice. The benefits of participating in the global network are numerous. The above-mentioned are just a few. No longer can conservationist, water specialist, agronomist, and public health specialist working to alleviate poverty depend on narrow expertise alone. 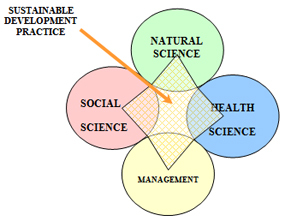 Cross-disciplinary and cross-sectoral knowledge and rigorous, hands-on, field experiences are needed. Nigel Thrift can be certain that universities in the global network of MDP programs are doing all they can and more to prepare their students for the complex challenges facing this interconnected and interdependent global community. This entry was posted in Consortia, Double degrees, Dual degrees, global challenges, joint degrees and tagged Berkeley, BRAC University, CATIE, Columbia University, Davis, Earth Institute, Emory University, Global Master’s in Development Practice, James Cook University, Jeffrey Sachs, John W. McArthur, Lucia Rodriguez, MacArthur Foundation, Millennium Promise, Nigel Thrift, Sciences Po, The Energy and Resources Institute, Trinity College Dublin, Tsinghua University, Universidad de Los Andes, Universidade Federal Rural do Rio de Janeiro, University College Dublin, University of Botswana, University of California, University of Cheikh Anta Diop, University of Denver, University of Florida, University of Ibadan, University of Minnesota, University of Peradeniya, University of Waterloo, University of Winnipeg. Bookmark the permalink.